Industrial music as an artistic movement is becoming increasingly legitimised beyond being a footnote in the development of electronic music. Recent books such as 'Assimilate...' by S Alexander Reed have made a significant step in looking at the genre in an academic light. Now a new film by DJ, film maker and Fondation Sonore co-founder Amélie Ravalec & journalist and radio host Travis Collins called 'Industrial Soundtrack For The Urban Decay', which looks to trace the origins of the Industrial music movement, it's development and ideologies via the crumbling industrial cities of Europe to America's avant-garde scene. 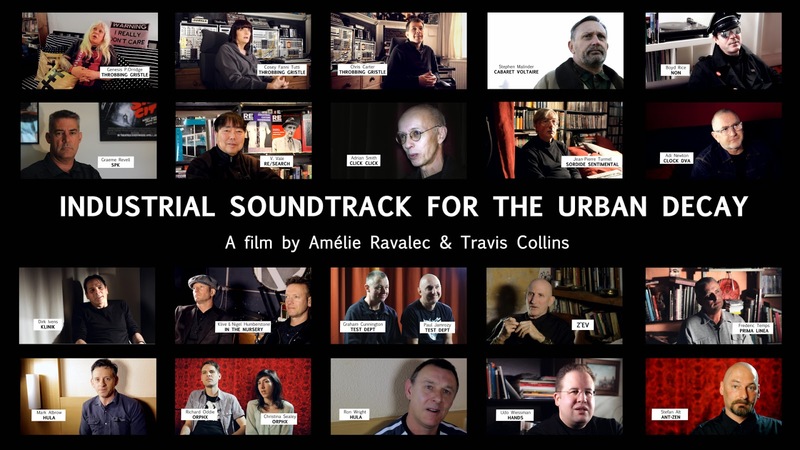 The documentary is currently in the final stages of preparation for release, so we decided to have a chat with Travis Collins about the origins of the project and why the time was right for a documentary on industrial music. 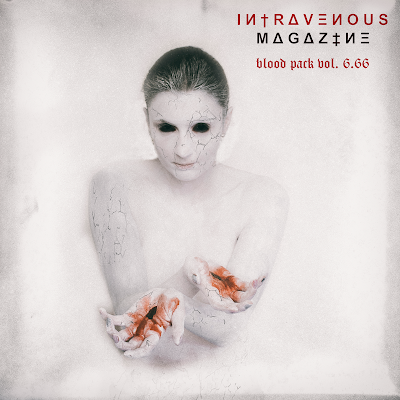 Intravenous Magazine: First of all; what are your backgrounds and how did you come together to collaborate on a documentary? Travis Collins: I worked as a radio producer and presenter in Australia for 10 years, I also worked in an art house cinema. I never really thought about making a film but after meeting Amélie, it was a logical step to pool our skills. I was well impressed by Amélie's début film 'Paris/Berlin: 20 Years Of Underground Techno', it has such an energy that every time I watch the film I fall in love with techno again. After Amélie released the film, she was eager to get starter on a new project and we decided to collaborate. I already knew Stephen Mallinder from the Cab's through working with him at RTRFM in Australia. Once we put the word out and contacted everyone else, we were surprised at how quickly we could get started. 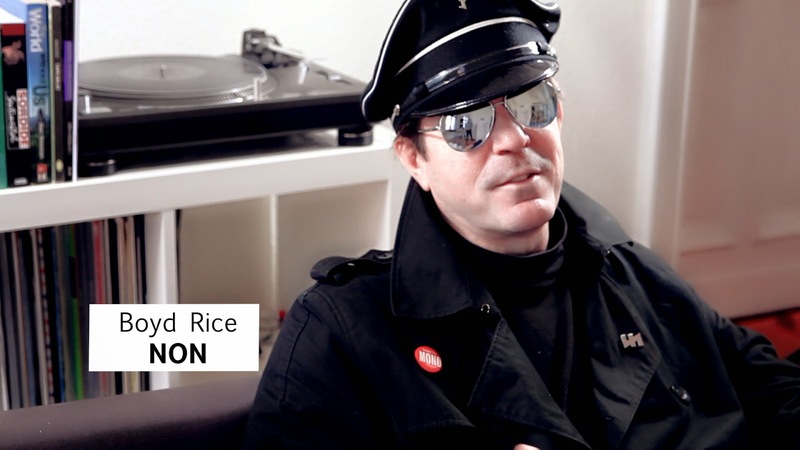 Boyd Rice happened to be touring Germany at the time so we spoke to him first then we headed to the UK to record more interviews. IVM: What was the catalyst behind the idea of 'Industrial Soundtrack For The Urban Decay'? TC: Having heard about the process of Amélie's first film, I realised what a labour of love it is to make a self funded film. Amélie did everything herself. With 'Industrial Soundtrack For The Urban Decay', we decided to use a similar approach & only interview people who's music we love. There were a few bands and journalists who did not wish to be interviewed as well but we are more than happy with the people who came on board. The film is not just about music we love, its also about industrial cities, urban decay, art, social movements, politics, DIY ethos, music technology, record labels and the people who have stayed true to their passion of music. IVM: How did you go about funding this endeavour? : We have had a few donations along the way but we funded the film ourselves. If anyone wishes to donate, we set up a Paypal option on our website. Thanks! IVM: What have been the biggest highlights of making the film? TC: For me, travelling for the interviews was a highlight. I also love connecting with music fans around the world. Social media has really opened the doors for engaging with audiences. We have made some great friends along the way and when it comes to touring the film, I look forward to sharing a beer with them. IVM: Do you see industrial music as something that is now academically validated as an important movement? TC: I don't feel the need to intellectualise music or art. I appreciate it for what it is, entertainment through personal or collective expression. 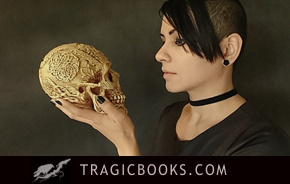 There are some great reference books on the genre from people like V Vale, Eric Duboys, Sordide Sentimental's Jean Pierre Turmel, S Alexander Reed and many others. IVM: The film features interviews with a number of bands and artists. Did you encounter any difficulties when reaching out to them? TC: As I mentioned earlier, the interviews came together quite quickly and most of the people we interviewed we were able to contact and meet quite easily. It was an honour to chat with these musicians and share their passion for music. Some of the people we interviewed have been making music for 20-30 years. 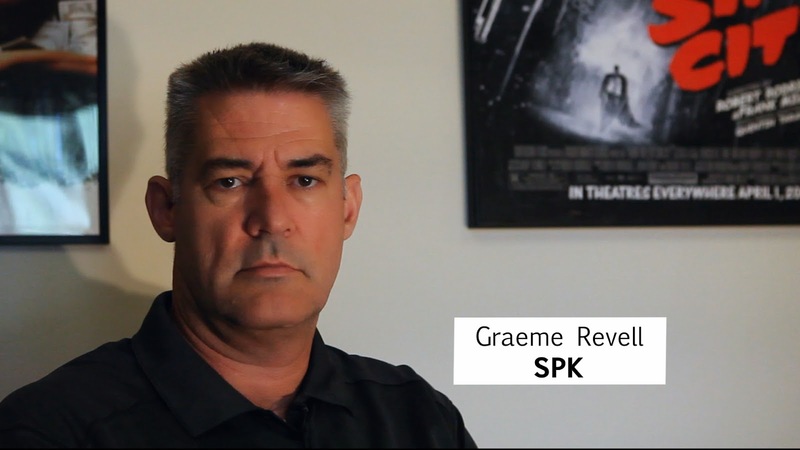 we are more than happy to have spoken to Graeme Revel who rarely gives interviews discussing SPK. IVM: Were there any potential subjects that proved too difficult to get hold of that you feel would have been a great addition to the film? TC: Only those who we couldn't get in contact with or those that declined to be interviewed. 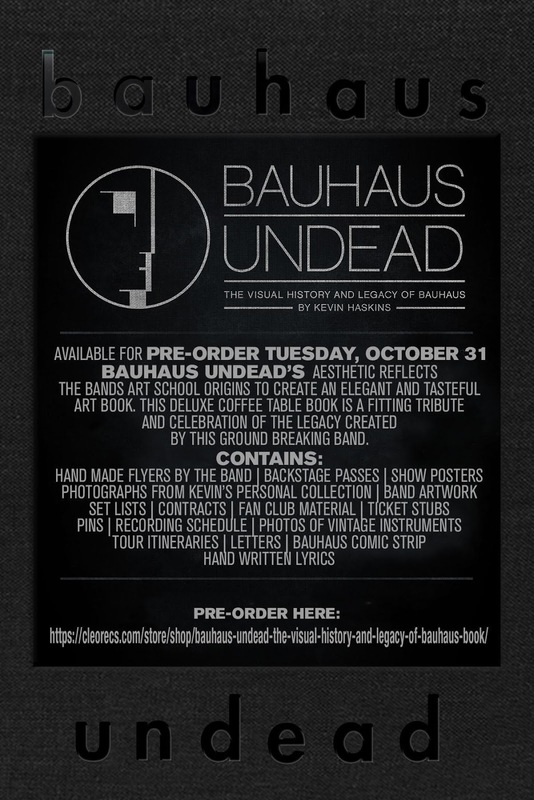 It would have been great to feature Einstürzende Neubauten and Richard H Kirk and some other bands too but I don't think it matters too much that they were not available. We also wish we had the opportunity to meet Peter 'Sleazy' Christopherson and John Balance. We have over 30 hours of interviews recorded and we are honoured that so many key industrial bands gave us the time to document their stories. IVM: What would you like audiences to take away from this film? TC: When I watch 'Paris/Berlin...', I want to go out and experience a great DJ and I feel inspired to mix some records. I hope that 'Industrial Soundtrack...' has a similar effect, inspiring people to discover new music or dig in the crates for some early industrial records. I also hope this film introduces more people to industrial music. I've seen plenty of uninspiring music documentaries that bored me from the start. 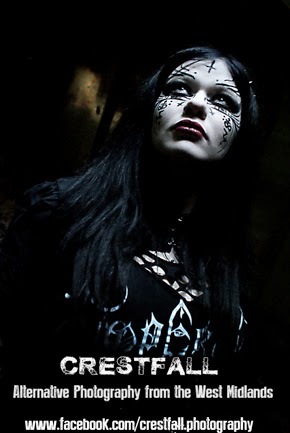 Our film doesn't just appeal to industrial music fans, its a film that anyone could enjoy and I hope they do! We have a great film in our hands and I look forward to sharing it with the world. IVM: What are your plans for releasing the documentary, and is there a date set yet? TC: Amélie is still editing the film, we're still licensing archival footage and music and it's also subject to funding and distribution. It could be anywhere between three months and a year. Follow the film on Facebook and Twitter for updates. IVM: Do you have any other projects in the pipeline? TC: Many, I'm working on an pitch for a children's educational / science program, also a script for a Sci-Fi feature (If anyone has a couple of million dollars to chip in?) and Amélie plans to make her first feature film after this. TC: We just posted a poll on our Facebook page asking for people's all time favourite industrial releases, it's worth a look. 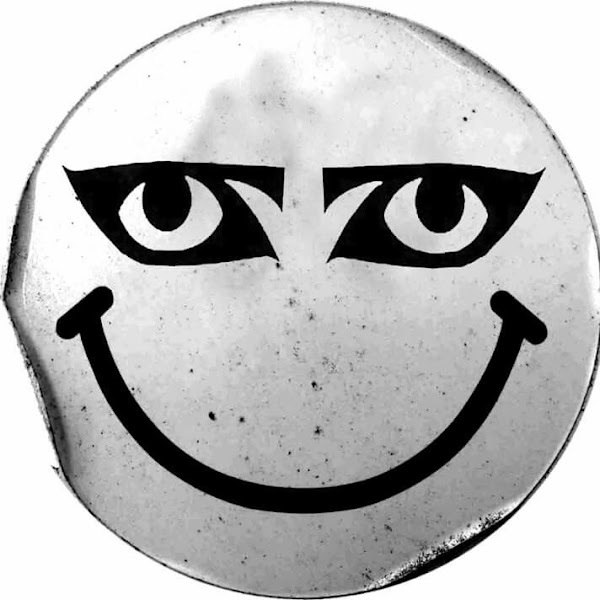 Great to see so many classics from Cabaret Voltaire, SPK, Coil, Throbbing Gristle and many more! 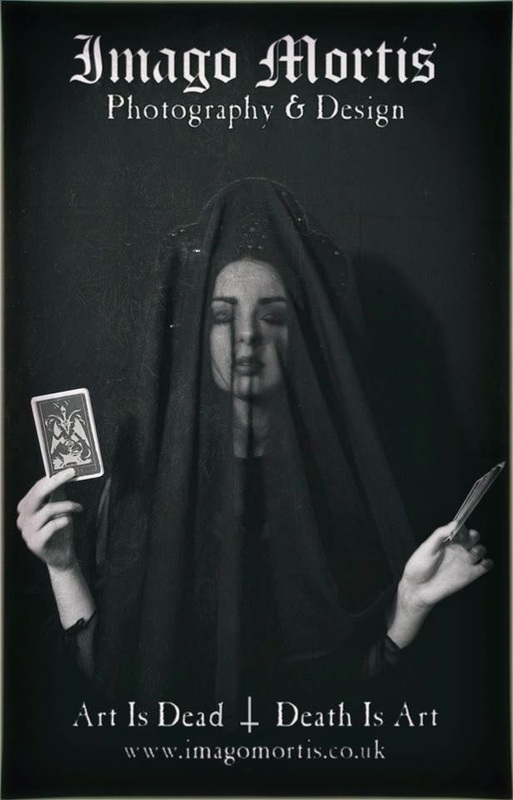 Please help spread the word of the film by connecting with our film pages and sharing the trailer.